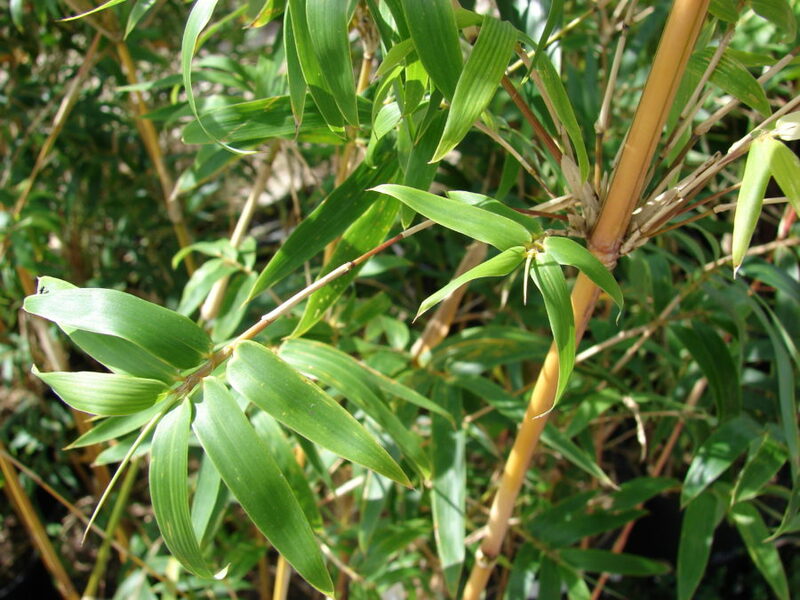 All bamboo species are actually grasses. 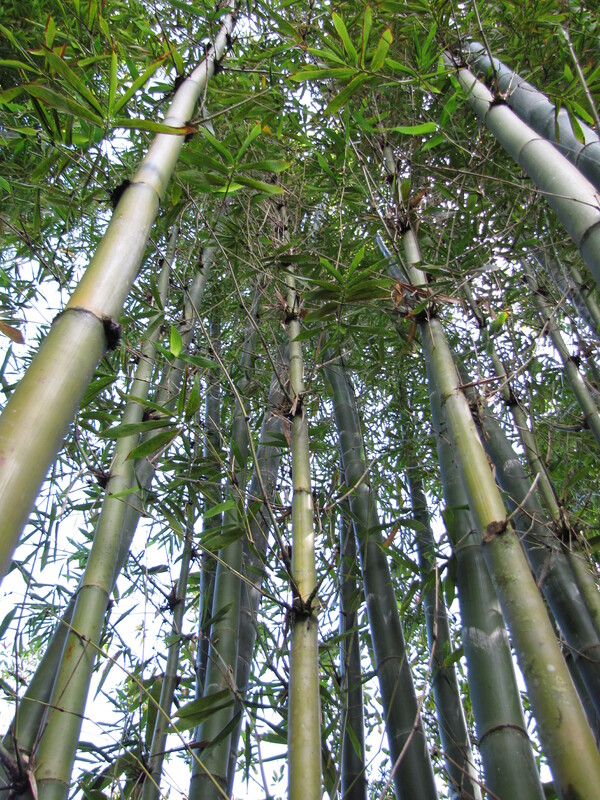 While there are many different species of bamboo, they all fall in to one of two types: “clumping” and “running” bamboos. The clumping type is the preferred type as it spreads by way of new sprouts originating from the base. 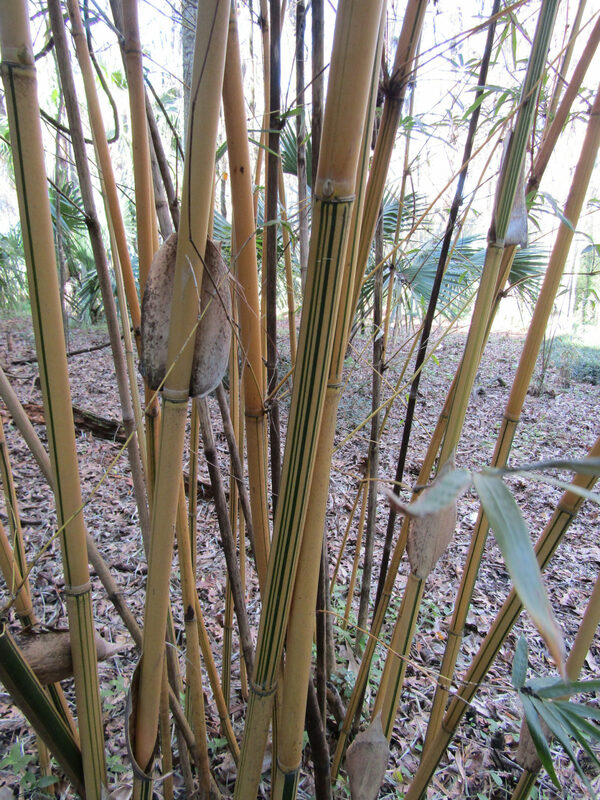 By comparison the “running” type of bamboo spreads by sending sub-surface shoots some distance laterally and as a result can spread and take over an area. They can also travel under pathways and pop up in a neighbor’s yard, and are difficult to remove. 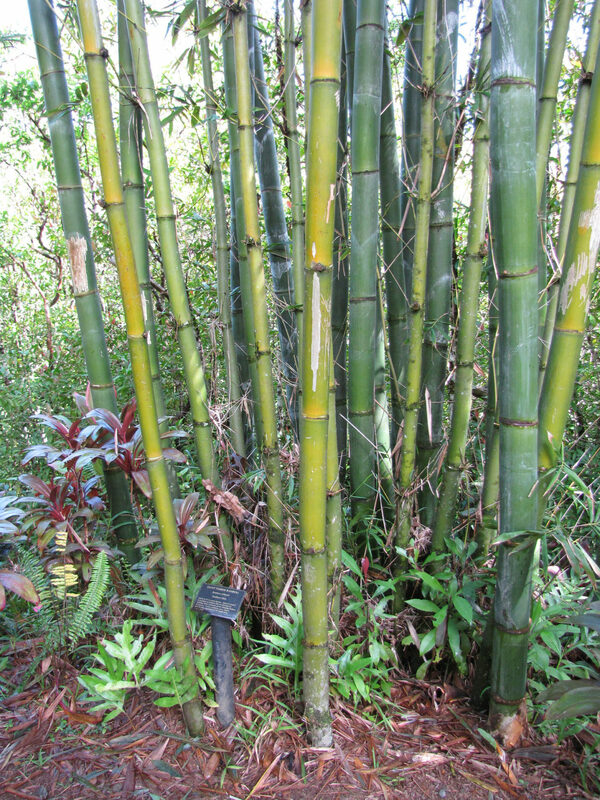 Clumping bamboo, like the Arundo it replaces, can provide dense screens and hedges. Hardiness varies by species but generally can withstand temperatures below freezing. Branching habits, vegetation and stem coloration, and size vary by species and variety. 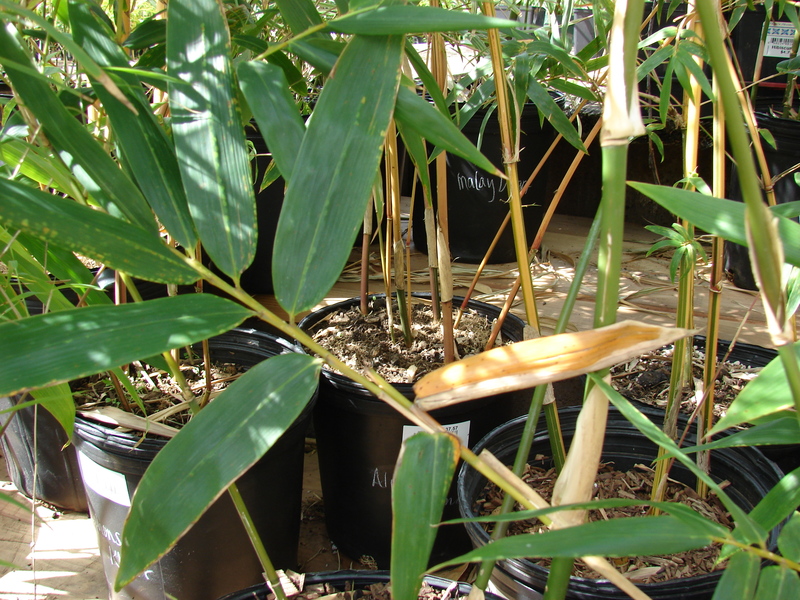 Clumping bamboo species are for the most part limited to the genus Bambusa and Fargesia. Bambusa multiplex 'Alphonso-Karr' has canes and branches that are striped with green and yellow, and is one of the best screen or hedge bamboos. 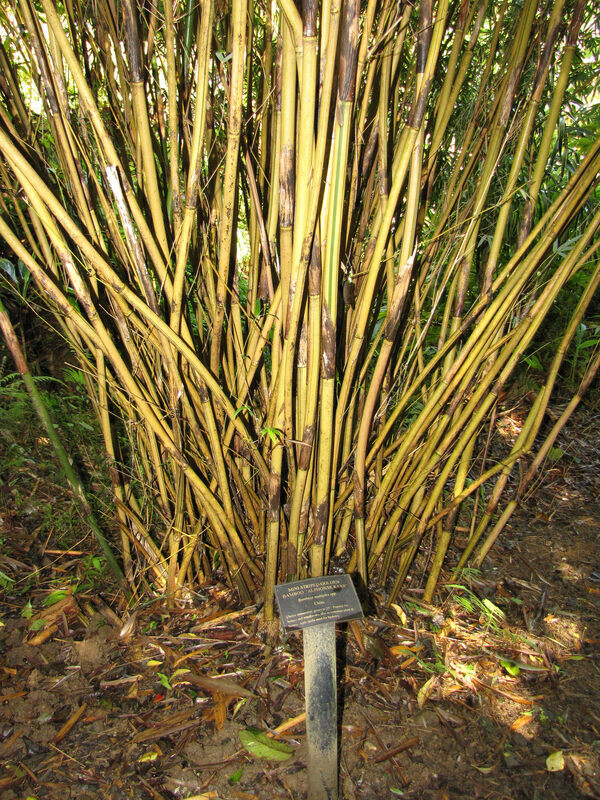 Bambusa multiplex 'Golden Goddess' is a graceful clumping bamboo that reaches 6-10 ft. tall. Makes a good container plant as well as screening. 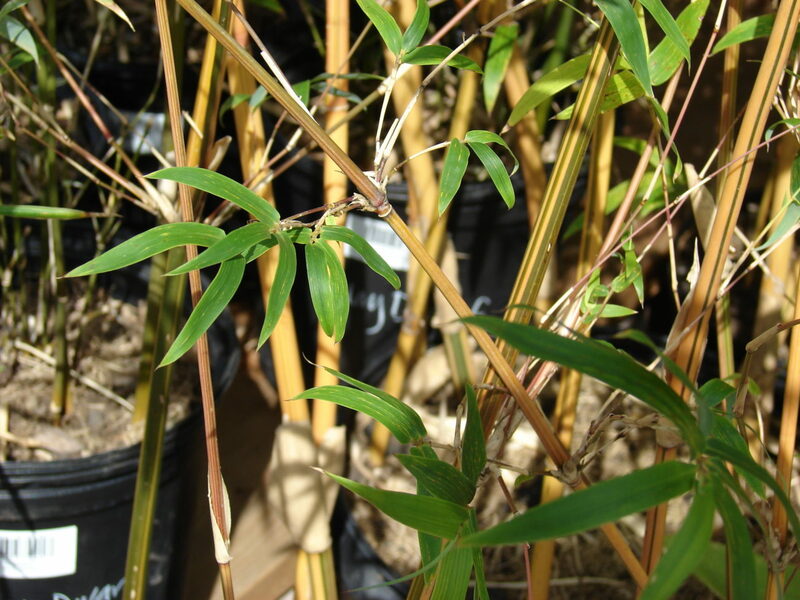 Bambusa oldhamii is one of the most popular bamboos in cultivation. It grows up to 55 ft. in optimal growing conditions. Plant in full sun. Makes an excellent large screen.